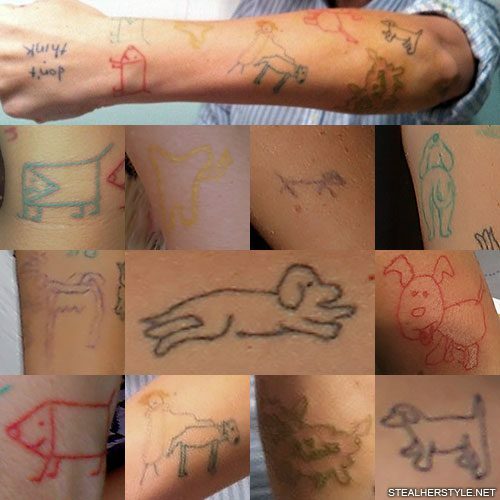 Sia has crudely-drawn dogs tattooed all over her left forearm in all colors of the rainbow. Some were drawn by her best friend Dallas Clayton who is a children’s book illustrator, and others were created by her fans. 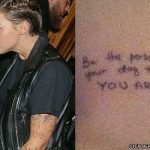 She began working on her “dogpark sleeve” in April 2011 and asked fans for their help. “Please draw and upload an outline of a dog so that I may tattoo it on my arm. I’m starting a dog park. Probs the shittest will make the cut,” she tweeted. 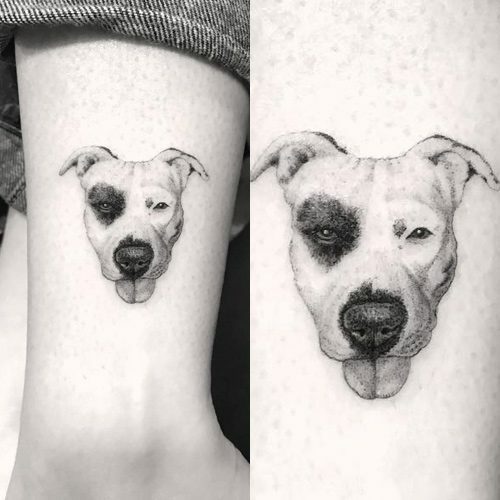 “This whole dog outline for tattoos thing is blowing my mind! can’t wait to get them all!! 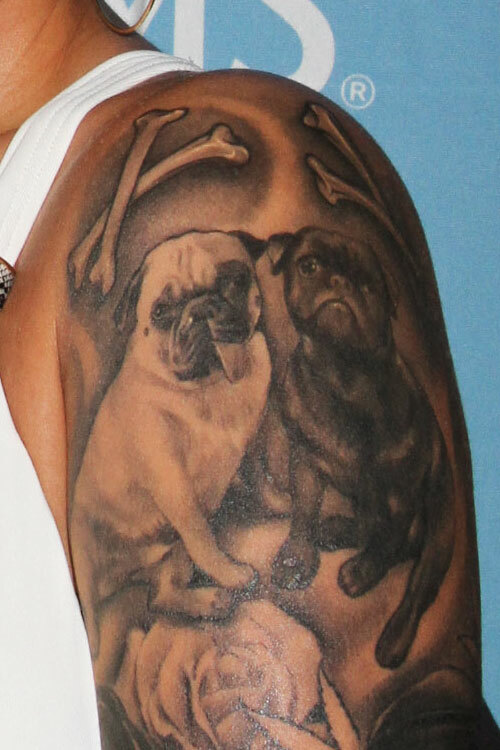 !” Piece by piece, she been filling in the whole forearm with goofy looking dogs. Sia is a huge fan of dogs and has three of her own: Lick-Lick (or Licky), Pantera, and Cereal. She is also a vegan and an animal rights activist. 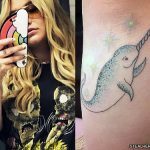 She has partnered with several organizations, including ASPCA and PETA, and worked with local rescues to set up dog adoption fairs at her concerts. 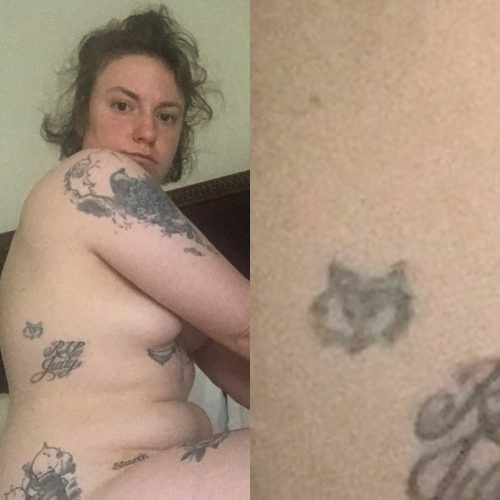 Lena Dunham has a dog tattoo on her right side. 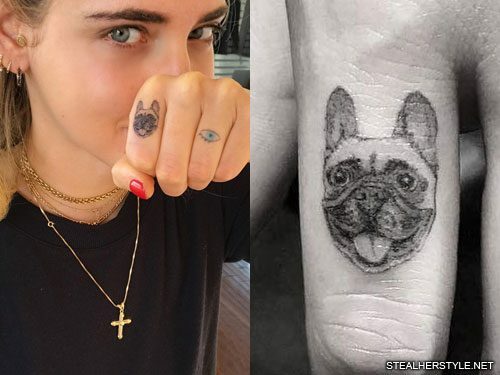 Chiara Ferragni tattooed a portrait of her beloved french bulldog Matilda on her knuckle in November 2016. 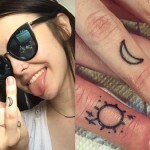 Artist Dr Woo managed to pack an amazing amount of detail into the tiny tattoo on her left index finger. Chiara got Matilda back in 2010 when she was just a two month old puppy. 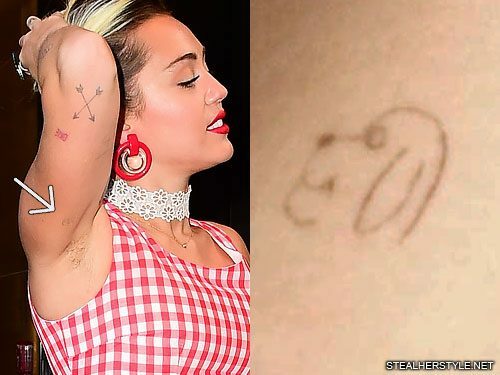 Miley Cyrus gets a portrait of her Shetland sheepdog Emu inked on her arm from artist Dr Woo in 28 April 2017. 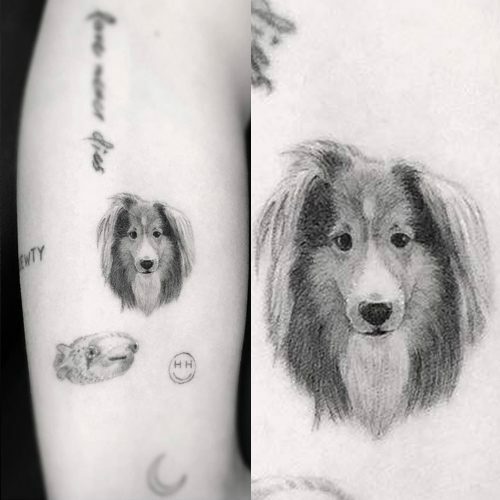 The puppy ink was done by Los Angeles tattoo artist Doctor Woo, who specializes in detailed grayscale looks. “Placed a young Emu on his mom @mileycyrus #emufanclub” Dr Woo wrote on his Instagram. 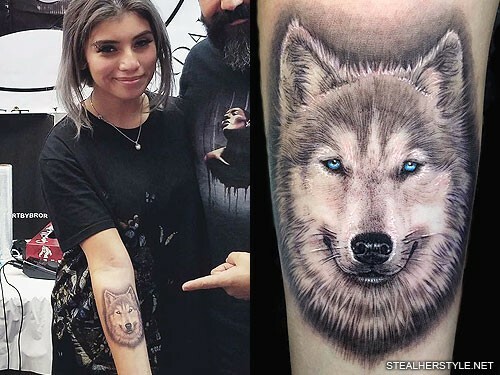 Kirstin Maldonado got her sixth tattoo on her right forearm in August 2016. She made a special trip from Los Angeles to New York just to get tattooed by artist Stefano Alcantara during the United Ink expo. “In 2012 I swore I’d never get my first big(ger) tattoo/art if it wasn’t @stefanoalcantara !!! SO HAPPYYY ? 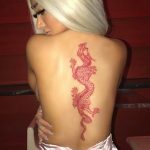 ?” she wrote on her instagram. Though it looks like a wolf, it is actually her dog Olaf, who is a husky. He was named after the snowman in Frozen and has his own instagram account with hundreds of photos. Olaf is white with blue eyes, and the tattoo is done all in black and white inks except for the blue ink in his eyes. 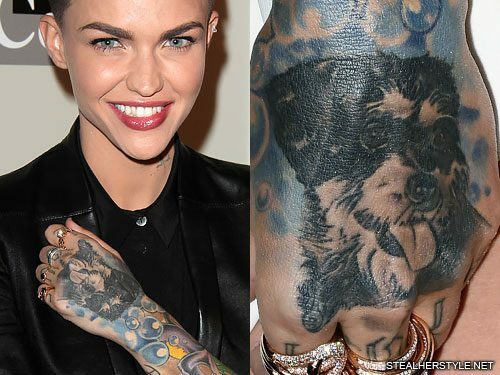 Ruby Rose got a tattoo of her pet dog on the back of her left hand in March 2013. “Nobody is perfect … except my dog” she tweeted. After getting a half sleeve on the back of her arm, she added blue bubbles all around the dog’s face to connect the tattoos.